Truth: Up until I made this dinner, I have never tasted Indian Food. Not that I haven’t wanted to, in fact, I have been begging my hubby to take me out to an Indian restaurant for years. My husband, however, (don’t tell him I’m telling you this) is kind of a wimp when it comes to spices. Shhhh! He doesn’t like to admit to it :) I on the other hand, think the spices add FLAVOR! MMM! Well after hearing my cute sister-in-law, Sarah, rave about one of her favorite dinners, I decided to make it and not tell my husband what it was until he tried it. She actually got the recipe from our mutual friend, Meg at Big Red Clifford, and now it has made its way into our family rotation. As I was making it, I started to become a little nervous at how he would respond to this recipe. Seasonings are definitely a HUGE part of this meal. However, after tasting the sauce, it was like I could hear bells ringing in my head at the incredible flavor explosion this dish presented. I knew he was going to like it. After eating it, he kept telling me how great it was… and thats when I laid it on him- that it was actually an Indian dish. Needless to say, we will be visiting an Indian restaurant asap to try out other yummy recipes. Oh, and if you are looking for a great Naan recipe, be sure and check this one out… its our favorite! Cut chicken breasts up into bite size pieces and toss in a large zip lock bag. Set aside. In a medium bowl, combine yogurt, lemon juice, cumin, cinnamon, cayenne pepper, black pepper, ginger and salt. Stir to thoroughly combine. Pour into zip lock bag with chicken. Seal tight and shake and move chicken in bag to evenly coat. Place in fridge and marinate at least one hour. After chicken has marinated for at least one hour, dump into large frying pan (marinade included) and cook on medium-high heat until chicken is done and cooked through. Place chicken in strainer and let remaining marinade drip off. Do not rinse. Set aside. In a large sauce pan, melt butter. Add in finely diced jalapeños and minced garlic and saute for one minute. Next, add the cumin, paprika, and salt and stir to evenly combine. Add tomato sauce and heavy cream to sauce pan. Stir to evenly combine. Once sauce has started to simmer, turn heat down to low and let simmer until thickened. This takes about 20 minutes. Add chicken to sauce and stir to evenly coat and combine. Let simmer a little more if needed until it thickens up how you would like it to. Serve with naan and/or rice. We love Indian Food. You definitely have to either try or make Lamb Korma. It is similar to Tikka Masala, but yummier. Also, you should try some Thai food that stuff is delicious with a lot of lime and cilantro. 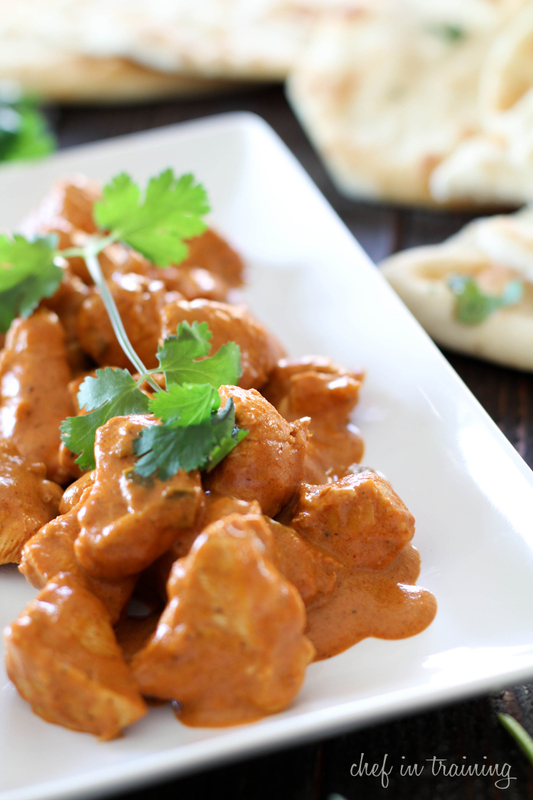 Chicken Tikka Masala is my favorite Indian dish! Butter chicken is good as well. (My family also loves Thai food, a must try!) I was very nervous to try Indian and Thai food for a long time (we ate a lot of bland food growing up.) but once I tried it, I was hooked! I'm still a bit intimidated to try making it at home, but this recipe looks like it wouldn't be too hard to give a try. i flippin' LOVE tikka masala nikki!! And I'm SO glad you loved it! It's my favorite indian dish, by far. Yours looks simply incredible. pinning it. because it's beautiful - specially for your first time making it! wow! I was similar to your husband, convinced I didn't like curry and everything Indian has to have curry, right? Wrong! So many wonderful flavors and spices and chicken tikka masala is my favorite. 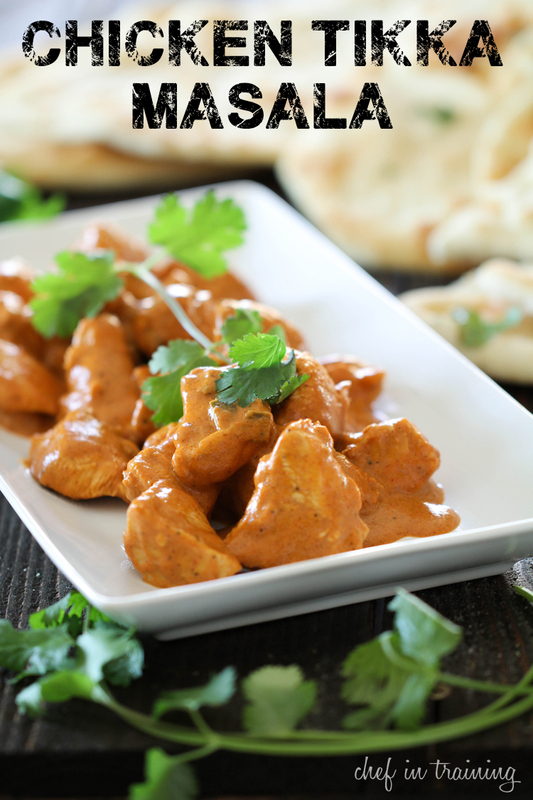 You should try butter chicken and chicken coconut korma. Delightful! I have a chicken tikka masala recipe that calls for broiling the chicken. You should try it. The chicken is much more tender and juicy that way. Love, love, love your blog! Thanks! nikki this looks delicious! I LOVE it. going on the menu soon! 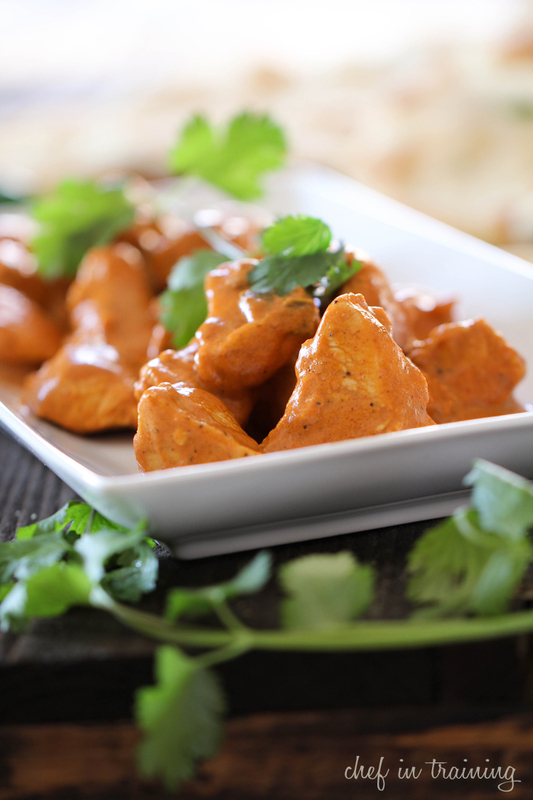 I love Indian food and this recipe looks absolutely perfect. Yum! My hubs and I LOVE Indian food. An easy crockpot meal we like is Crockpot Chicken Curry from the blog Crockpot365. Sooo good and packed with yummy spices and veggies. We usually serve it over rice. This looks so good, Nikki! I like some Indian foods, mostly the curry style, This would be a good recipe to use the spice mix, Garam Masala with... I look forward to seeing some other Indian recipes on your site! I feel your pain - my husband doesn't like spice at all, and I love Indian food and Thai food. So I basically have to beg my sisters to go out with me if I'm craving it!! I should make this one night and see if I could get him to try it - I know I'd love it!! Wonderful recipe I can smell and taste the great seasoning. So jealous! I wish I had the privilege of living next to you and sampling your indian cooking ;-) Can't wait to see the new one coming! I'm sure it is fantastic! haha! Your comment made me smile, Ashton! It is a very small world I tell you what! Can't wait to meet you next month! I am very excited to try this! Just one question, could you recommend any substitutes for the heavy cream in this recipe? Looks AMAZING I may have to try this and make a lighter version! Great photos and love the concept and feel of the blog! The Chicken Coconut Kurma at Tandoori Oven or Indian Oven is amazing - second favorite is Tikka Masala! Can't wait to try this recipe!! Hey, I tried your recipe, cos we love indian food. Smell great, but is really really salty. Next time i will try with less salt. Thanks a lot, nice blog. Hi there. I just wanted to say...AMAZING recipe! I made this last night and it was fantastic. Couple small tweaks, tablespoon of Sambal and a squirt of Sirracha because I didn't have a jalapeno, and googled 'substitute for heavy cream' which was 1/3 cup of melted butter and 3/4 cup of milk.. But even with those small changes the chicken was so tasty and tender. This was the bomb!!! I am so in love with this recipe. My entire family loved it and it truly tasted like the real deal. Keep up the great work. This was awesome. I'm so going to try this recipe. When I go to any Indian restaurant I always stick to my favorite (Chicken Korma + regular rice + cheese nan) but I've always wanted to try de Tikka Masala and yours looks delicious! I tried making this dish this evening. I made the marinade last night so that the chicken could sit overnight. I added only 1 tsp of salt to the marinade. In future, I might ease up on the cayenne pepper, because it was super spicy. Other than that, the dish is fantastic!!! We tried this recipe last night and it was amazing! I wasn't sure if my husband would like it because it was kinda curry-ish, but he loved it and loved the spiciness! Thanks!! We LOVE Tikka Masala! But we also grill up a ton of green bell pepper slices and onions to go with it - stretches the dish and gives us a few more veggies in our diet at the same time. I am fixing this right now. I've never heard of it, but it looked yummy. It's marinating right now. I wish I had the naan, but rice will suffice. I had everything but yogurt, and japalenos, and of course I wondered if there was a substitute for the yogurt. Even tough I wondered, I still went Krogering, and they didn't have not one single japaleno, so instead, I am going to use the jar pickled type. Will post the outcome. Well, it was absolutely tasty. I will definitely make this again. I used less salt, and more cayenne. This was so tasty! Thanks! Better than any restaurant version! Sounds really good. Thank you and I will give it a try. Have a good weekend! Got here via pinterest. Dal Makhani is the dish I would suggest you try if you go to an Indian restaurant. If done right it is fragrant and filling and so good. The black lentils they use in it can be hard to find, but makes a great make ahead meal. I made this last night for dinner and I was so excited to try it. My kids love spice. I am not sure what happened though but it was extremely salty. I double checked the recipe to make sure I did it correctly. Do you think 2 tsp of salt is a lot for that sauce? It seemed as the sauce thickened it got saltier. I would love to try it again but I think I will omit the salt until the end and then add it. I notice you said maybe more TT. We ended up not being able to eat it, we ate the rice and naan. My family loves this recipe. So good! Thank you!